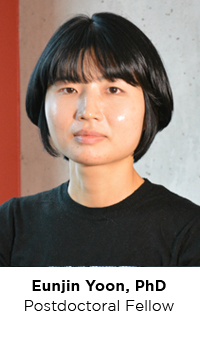 Eunjin Yoon obtained her Ph.D in Neuroscience from Seoul National University, where she studied the effect of transcranial direct current stimulation on patients with chronic pain and the corresponding biological changes using neuroimaging. As a postdoctoral fellow at the same University she focused on brain functional and structural changes associated with non-motor symptoms of Parkinson’s disease. As part of the PCAN Lab Eunjin will study the neural mechanisms of cognitive decline in Parkinson’s disease using multimodal neuroimaging. She is planning to investigate the role of the frontal, striatal and hippocampal system in cognitive function using non-invasive neurostimulation and functional neuroimaging.